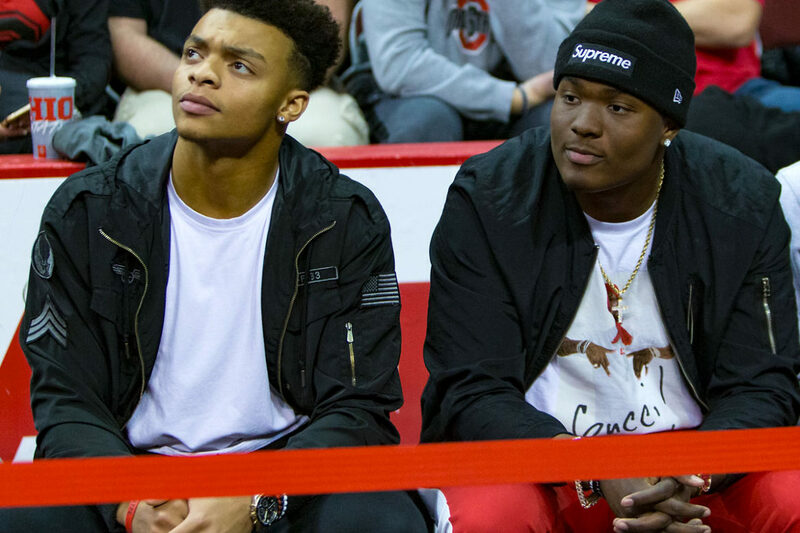 Ohio State and quarterback Justin Fields received some great news today when the NCAA declared Fields immediately eligible to play for OSU this coming 2019 season. Fields also released a statement through Ohio State. Fields transferred from Georgia last month and sought a waiver from the NCAA to be eligible immediately. Now that he is eligible to play in 2019, the Buckeyes can move ahead with a full-fledged quarterback battle between Fields and Matthew Baldwin. Both players are in their second years, but Fields will be a true sophomore and Baldwin a redshirt freshman. As a true freshman last season, Baldwin was recovering from a torn ACL that he suffered in high school. He wasn’t healthy enough to play until midway through the season, but due to the lack of blowouts in October and November, he never saw action. Fields, meanwhile, played in 12 games as a true freshman. He completed 27-of-39 passes (69.2%) for 328 yards and four touchdowns. He also ran the ball 42 times for 266 yards (6.3 ypc) and four touchdowns. His long rush was 47 yards and his two carries of 30 or more yards were twice as many as Ohio State running back JK Dobbins had in 2018. Fields completed two passes of 50+ yards, which was the same number as Alabama backup quarterback Jalen Hurts and Texas A&M starting quarterback Kellen Mond. Hurts needed 70 pass attempts to get to his number and Mond needed 415. Ranked the No. 2 overall prospect in the 2018 class and the No. 1 dual-threat quarterback, Fields is the highest-ranked recruit to play for Ohio State since Terrelle Pryor in 2008. Pryor was also the No. 2 overall prospect and the No. 1 dual-threat quarterback. Pryor led Ohio State to BCS bowls in each of his first three seasons before the NCAA ruled him immediately ineligible. Good news for Buckeye nation and for Mr. Fields. Now the task is to learn the offense and develop a strong working relationship with his head coach and position coach. Go Justin and go Bucks.